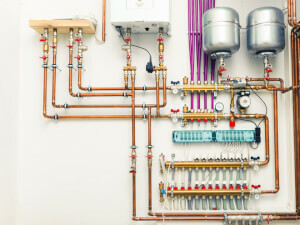 How much should you pay for geothermal system repair? Get national cost averages and the factors affecting them. Request a free quote from local pros. How Much Will My Geothermal System Repair Cost? Geothermal heating and cooling systems have been rising in popularity over the past few decades due to their environmental benefits and ability to reduce regular utility costs. 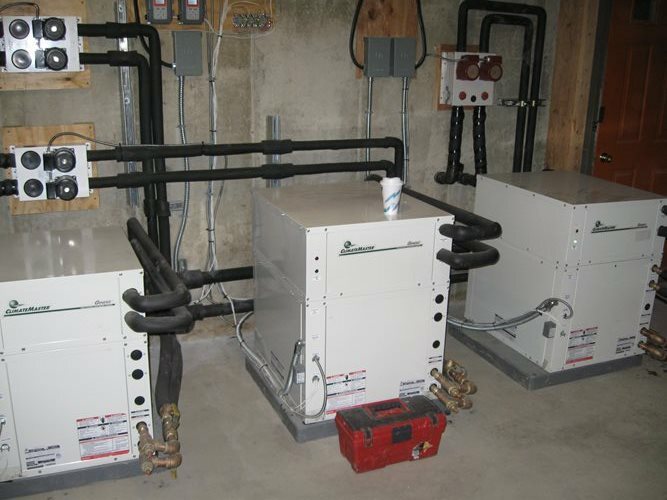 Any geothermal system consists of two main components: the heat pump and the ground loop. You might also hear people refer to the ground loop and just the loop or the loop field. The system works by capturing heat that collects in the water circulating in the ground loop and then pumping that heat into the house. This process involves a blower fan, a motor and long lengths of underground piping. As is the case with any other type of heating and cooling system, repairs are occasionally needed. There are a number of ways to detect the potential need for geothermal system repair within your unit. 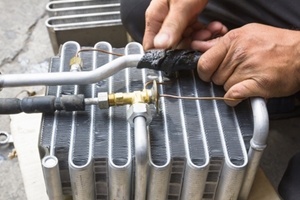 If you notice any of these signs, you will have to get a hold of a company who specializes in geothermal system repair in order to perform the servicing. How Much Will It Cost To Repair A Geothermal System? After you get a few estimates, you will find that your geothermal system repair work is going to cost no more than ￡2,650 but may also be as affordable as ￡150. It all depends on the nature of the repair work needed. The average cost to repair a geothermal system is ￡460 based on national repair data. How much you should expect to spend is going to have a lot to do with the type of repair needed. Leaking loop repair: The looping system of strong plastic tubing carries coolant through your system and those tubes will occasionally leak. While it sounds disastrous, the truth is that this sort of repair work is usually not too expensive, provided each leak location can be detected on the first pass. Acid flushing: Scaling and debris can collect in your pipes over time, necessitating an acid flush. This sort of servicing is not very expensive and should only need to be done every 4-5 years, at most. Blower motor replacement: This is a less-ideal type of geothermal system repair, from a cost perspective. Occasionally a worn out motor can be serviced instead of replaced. Fan blade replacement: The fan blades on your system are actually not very large and are not made of rare materials, by any means. The replacement cost for these components is largely a question of labor. Once you realize that a geothermal system repair might be necessary at your home, it is smart to stay open-minded and optimistic as the potential repair costs vary so wildly. What wont cost you a dime is having a professional give you a fair breakdown of the cost to repair your geothermal system. Simply input your home postcode in the space provided on this page and local geothermal system repair specialists will reach out to you. There is no obligation to purchase, hire, or sign any contracts. Get your 100% FREE estimate on the cost to repair a geothermal system. Remember, there are absolutely no hidden costs associated with this service, so feel free to enter your home zip code now. It does nt get any simpler, give it a try!